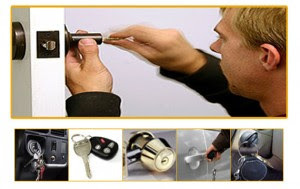 If you are looking residential locksmith in Columbia, MD area, you have found the most professional and friendly locksmith services with SOS Locksmith Columbia. We have years of experience providing our customers with all their locksmith needs from emergencies to replacing deadbolts. We are centrally located in Columbia so we can arrive at any location in the area in only a few short minutes for any emergency. If you have misplaced your keys or believe that someone has stolen your keys and you need all your locks replaced. We provide quality products with the latest and most innovative tools on the market to ensure that no damage is done to your doors or your door frame. Our team of the residential locksmith is fully licensed with years of experience providing our customers with the best possible products and services in the business. We never want our customers to have to wait out in the cold or heat while we run back to the shop to get parts. This is why we carry all the necessary tools and high-quality products in our trucks. The most important thing to us is our customers and their ability to enter their home. We offer the highest quality locksmith services in Columbia such as repair or replace patio door locks, unlock deadbolts, install deadbolts, recode digital keypads, install, recode digital devices, and recode digital systems, to name a few. surround the area. We take pride in providing our customers with not only the best locksmith services but also the highest grade locks and keys on the market today. We are here to help with any locksmith need you may have. Remember to keep our number in your cell phone so you can contact us fast, so we can reach your location quickly in case of any emergency. We are only a phone away and we are here to help.